The language of flowers is as old as language itself. In the earliest poetry familiar plants were used to represent simple emotions, ideas, or states of mind: love, hope, despair, fidelity, solitude, beauty, mortality. Over time these associations entwined with myth and legend, with religious symbolism, folk and herbal lore. By the early 19th century the 'Language of Flora' had become increasingly refined, especially in England and America, where sentimental flower books listing flower meanings and illustrating them with verse were perennial bestsellers. 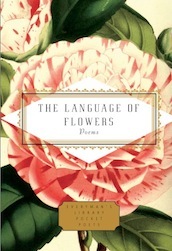 The Everyman Language of Flowers without sacrificing the charm of its Victorian predecessors aims to provide extended, updated and rather more robust floral anthology for the 21st century, presenting poetry from ancient Greece to contemporary Britain and America, and spanning the world from Cuba to Korea, Russia to Zimbabwe. Eastern cultures, rich in flower associations, are well represented: there are Tang poems celebrating chrysanthemums and peonies, Zen poems about orchids and lotus flowers, poems about jasmine and marigolds from India, roses, tulips and narcissi from Persia, the Ottoman empire and the Arabic world. Flowers are arranged by season, with roses and lilies in a section of their own. In a final section poets comment directly or indirectly on the language of flowers itself. The book concludes with a selected glossary drawn from several celebrated Victorian collections.